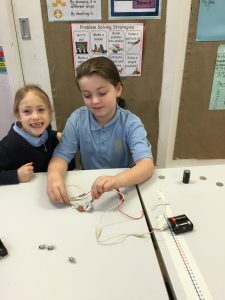 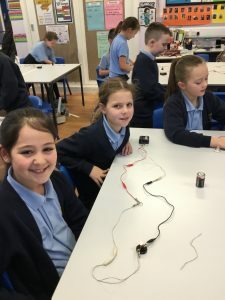 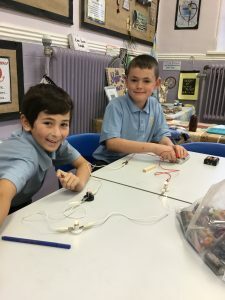 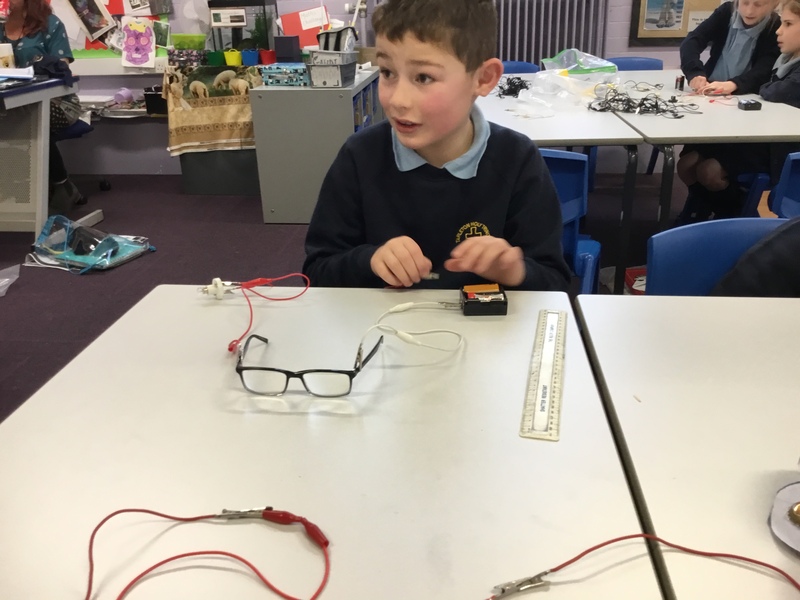 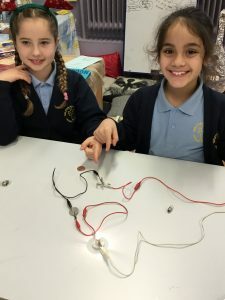 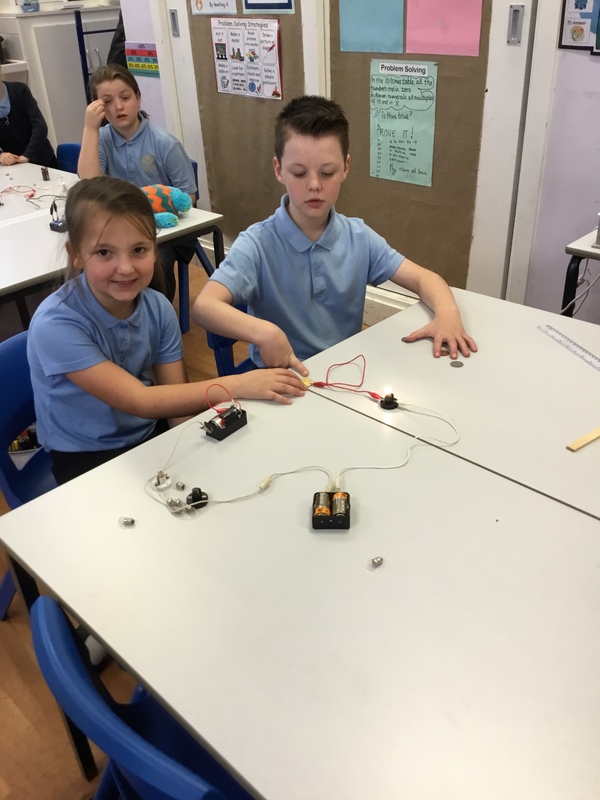 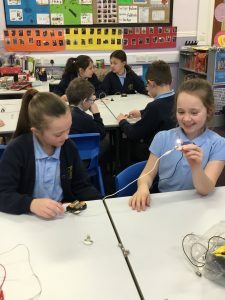 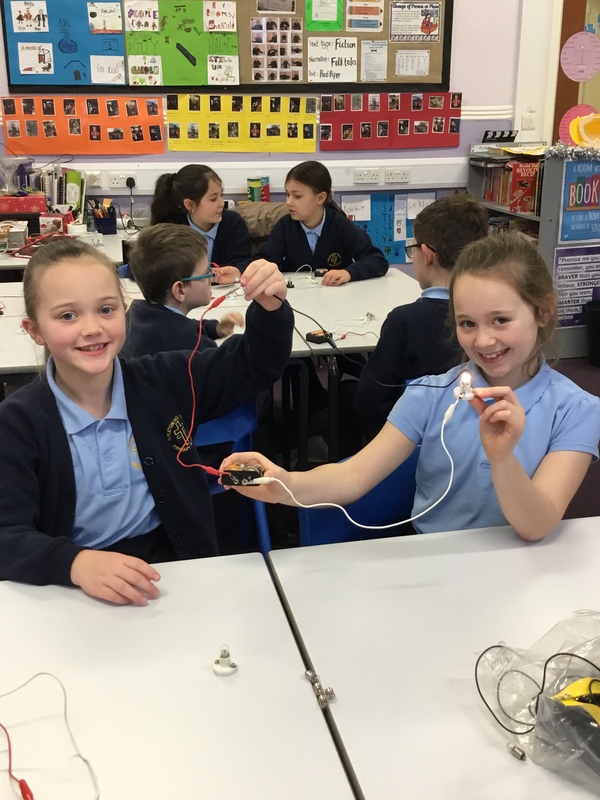 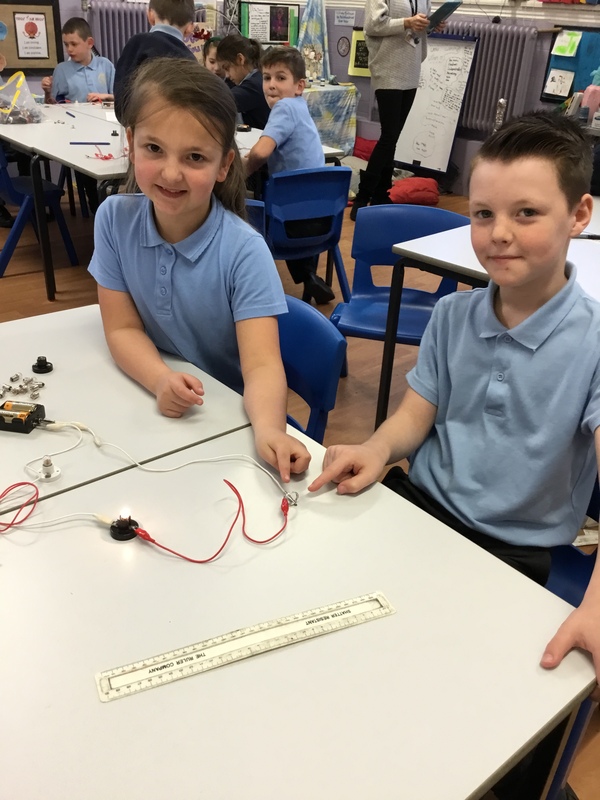 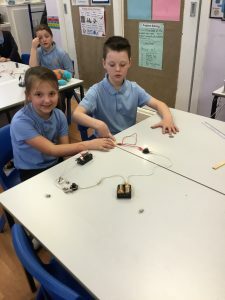 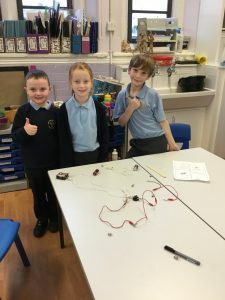 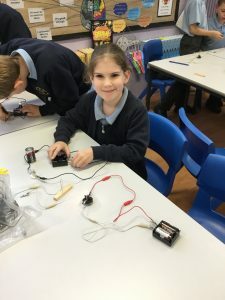 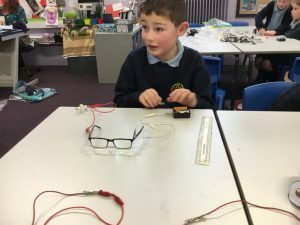 In science, Year 4 have been investigating electrical circuits. 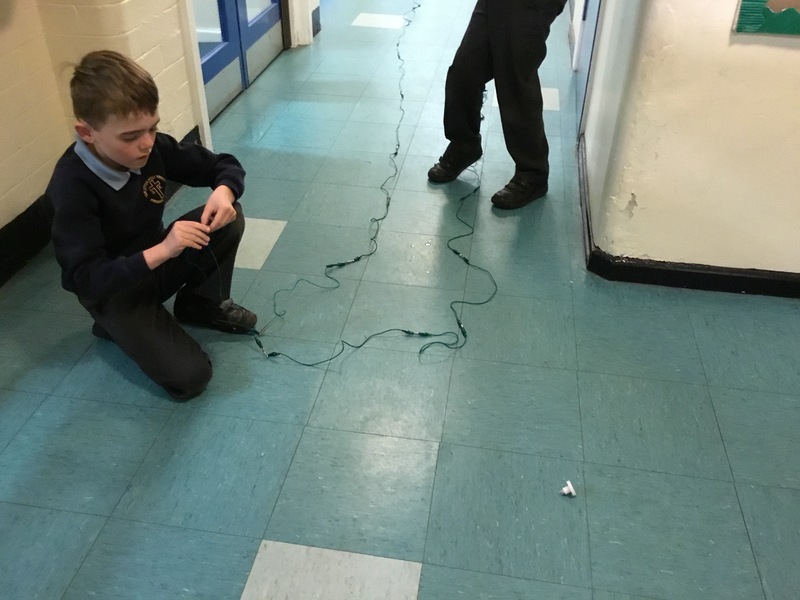 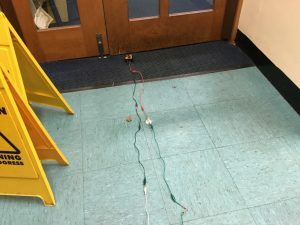 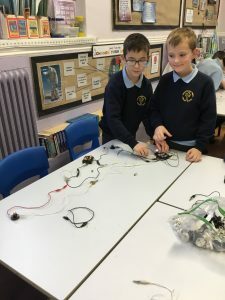 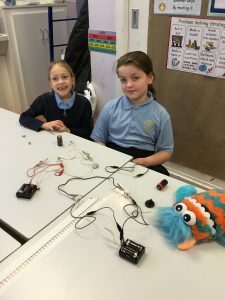 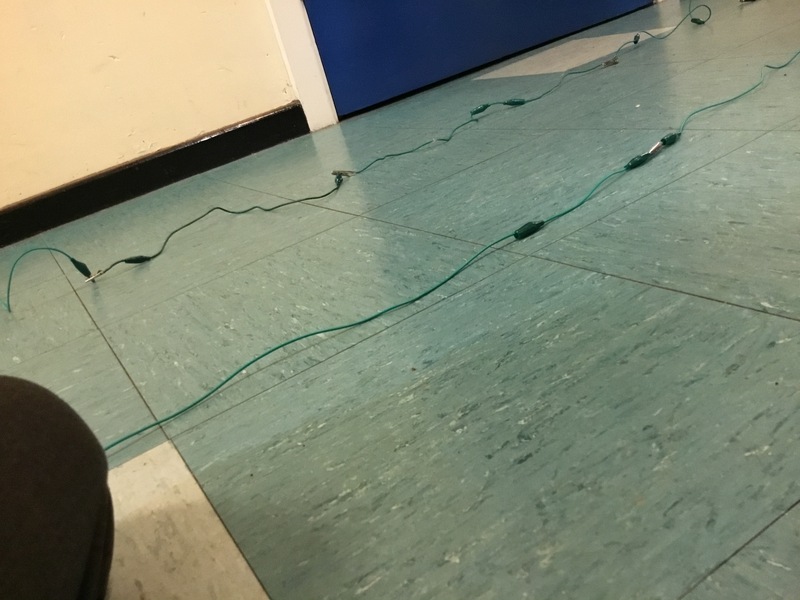 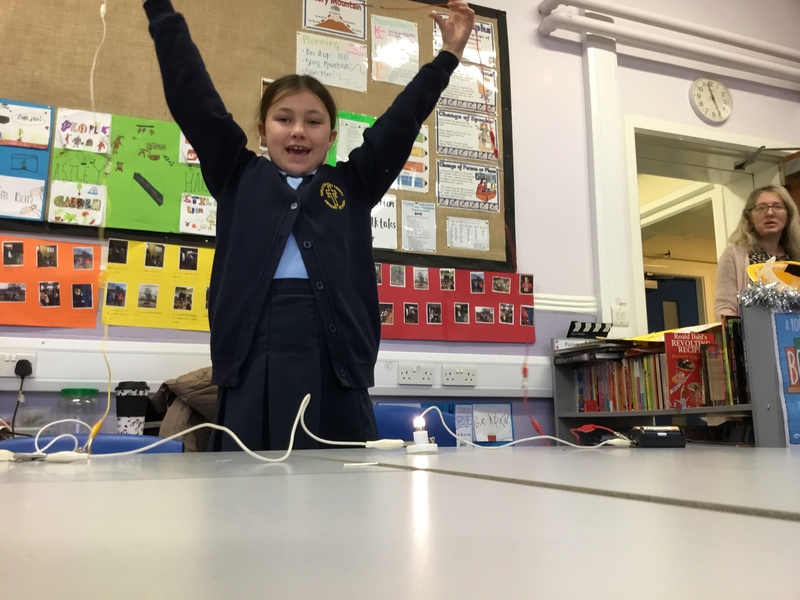 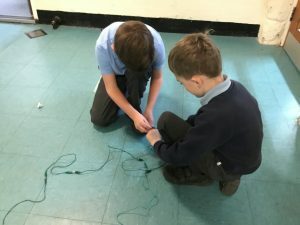 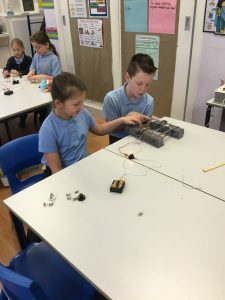 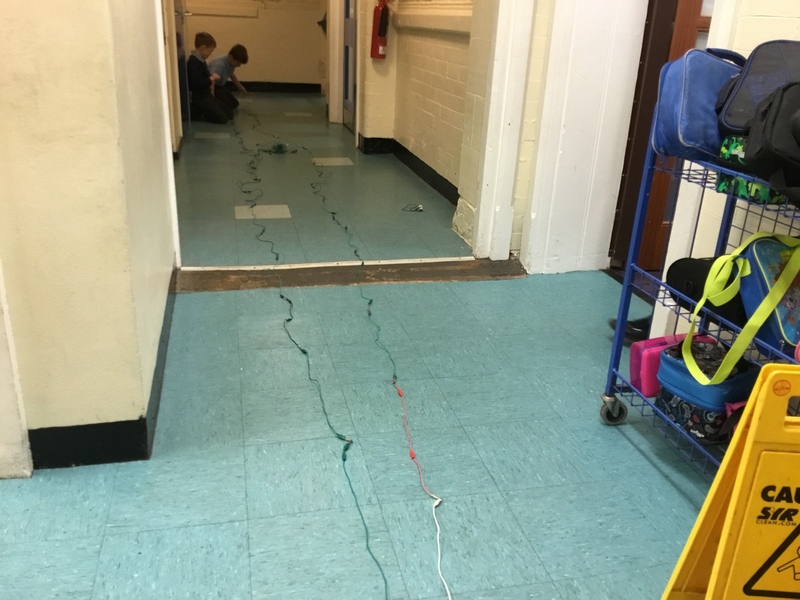 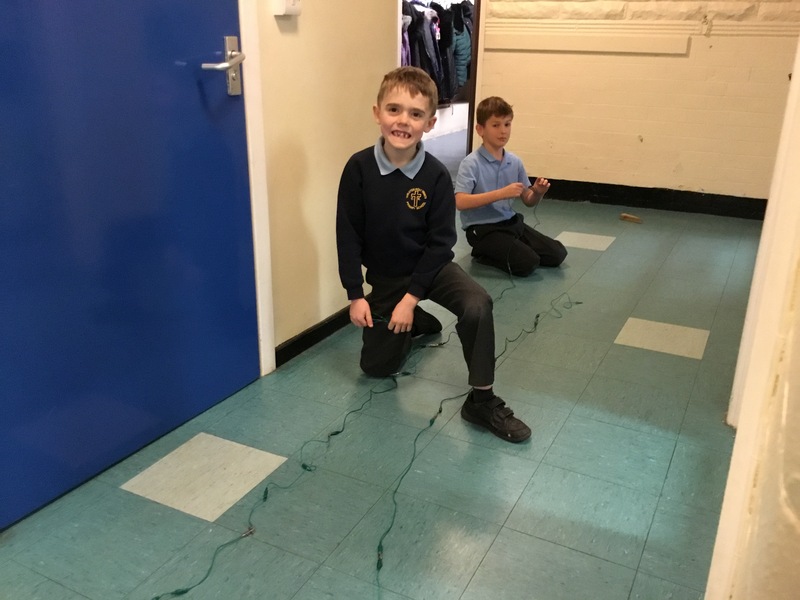 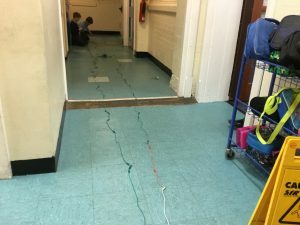 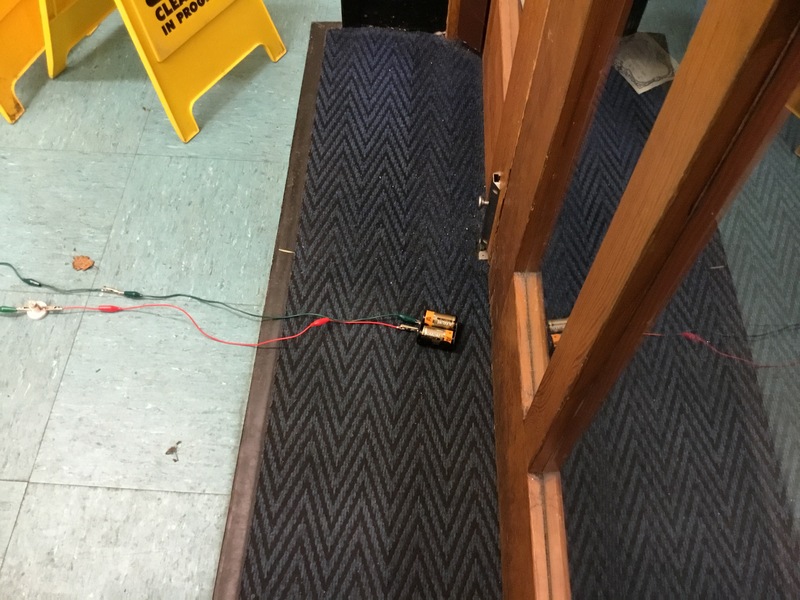 Two of the class created an outstanding circuit using 41 wires – the battery (cell) must have been really tired. 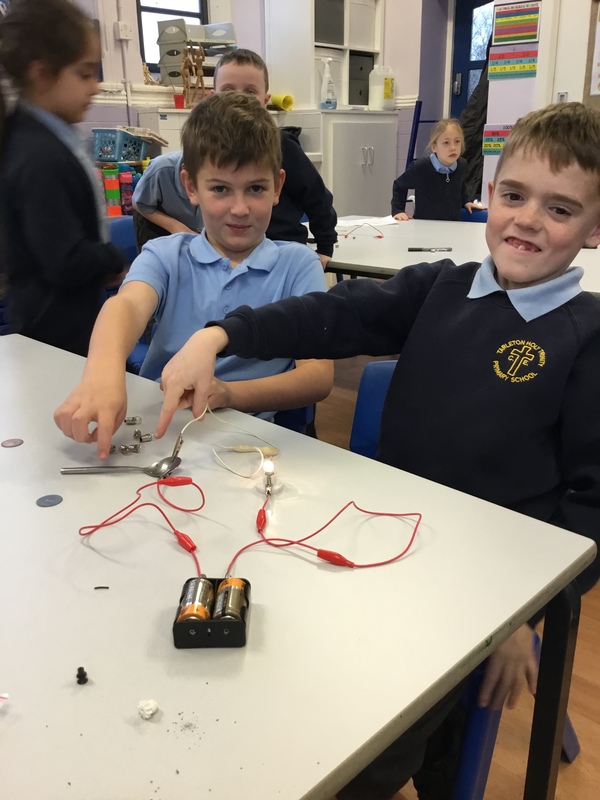 Right now we wouldn’t have light bulbs if it wasn’t for Thomas Edison and his team. 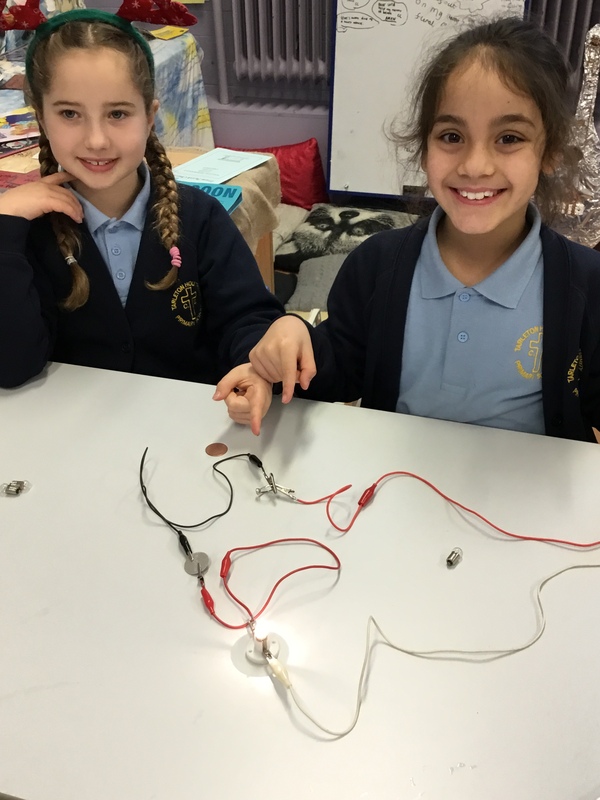 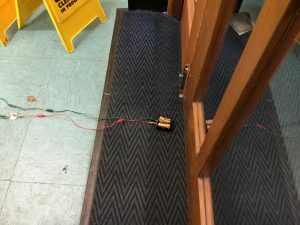 Mrs Seeley’s wedding ring came in handy as we tried to find out whether it was gold or not…did it conduct electricity? 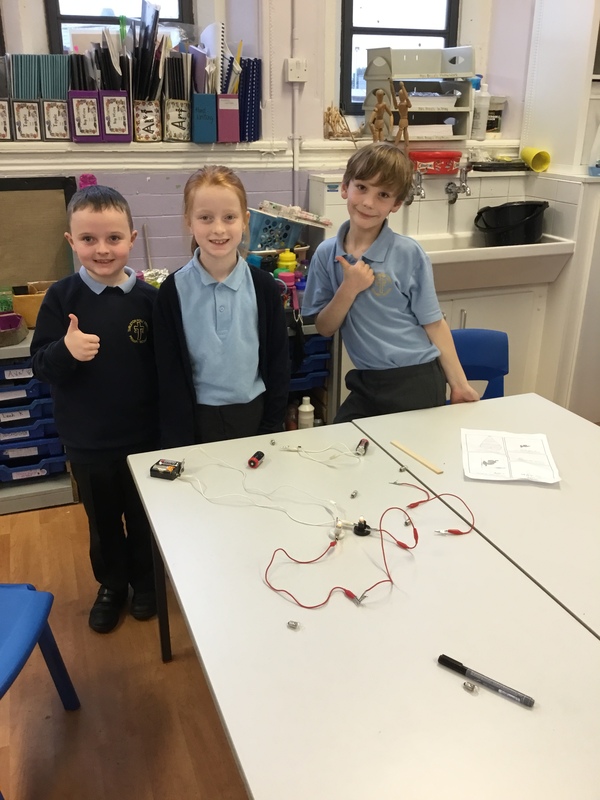 We used lots of equipment during the lesson. This included: light bulbs, wires and cells. 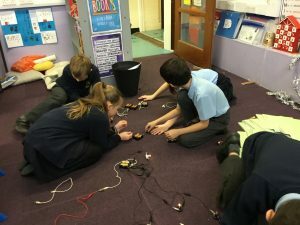 One message: Never Waste Electricity! written by Harry in Year 4.